Now that you've learnt about the triangular function Sine, we'll learn about another trigonometric functions, cosine, and its values. Cosine is also written as cos.
away from its base. 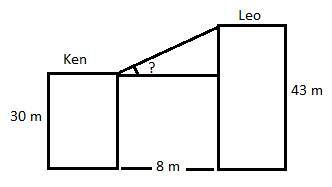 What is the height of the flagpole? see his car at an angle that measures 38°. How far is his car from building? 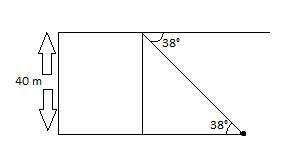 Mark the angles and sides that need solving. Decide on the formula you will need to solve the unknown. 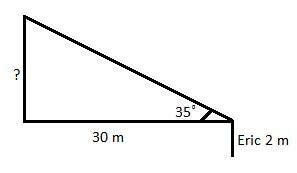 Consider Pythagoras theorem, sine, cosine or tangent. Check that your answer is rational. The hypotenuse is always the longest side in any right triangle. Jessica stands on the top of a 130 m cliff and looks down at an angle of 46° at the yacht docked on the port. from the yacht sees Jessica on the top? 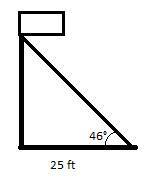 The angle found inside the triangle is 44°. Eric who is 2 m tall looks up at a tree 30 m away from him. He plans to climb it and get the fruits before the birds can get to them. 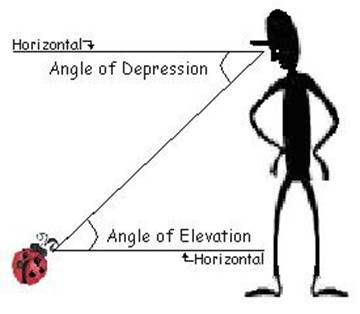 The elevation of the top of the tree from his eyes is 35˚. 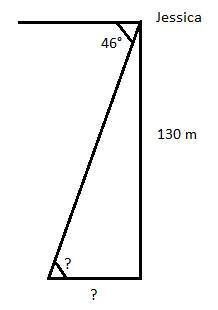 Estimate the height of the tree.